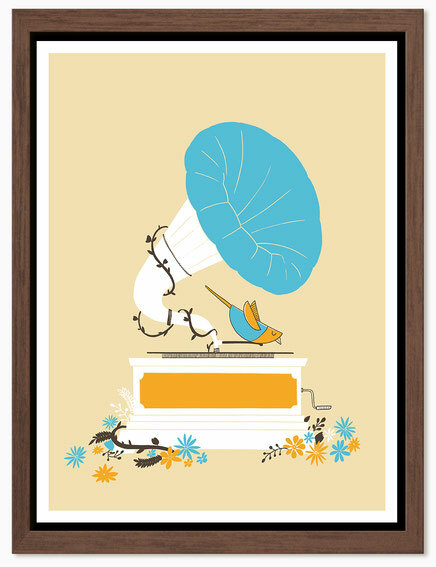 This is an art print I created just for the love of music. I also tried to capture my feeling of the spring when all the birds are back and the air is filled with sound. It’s a 4 colour print, pulled by hand in a studio in Hamburg on 250gsm smooth Metapaper paper, FSC certified. Limited edition of 80 prints, all are signed & numbered and will be shipped inside a cellophane sleeve in a strong cardboard box.